Scalloped curtains are the classic decorative items that bring in aesthetics, glamour and glitz to your home décor. This is one of the most comprehensive window décors. It totally transforms the rooms and creates a vintage aura all around you. The most important question is why you would want scalloped curtains? It requires more material and is a lot more elaborate. Do they really justify the extra space that they require? Control Lighting:Normally scalloped curtains involve extensive use of the material. As a result, they are perfect for blocking the light inside a room. Depending on how much light you need, you can pull back if required. Flexible Designing:The scallops and the tie back make sure that you can easily shift between a contemporary and a classic style quite easily. It is primarily how you arrange the different layers. Add Color:The sheer volume of the scalloped curtains make a strong statement overall. Whether it is a floral print or a solid color, it adds a strong note of color and vibrancy in your house. Provides complete privacy: This almost goes without saying. Given the huge amount of material that is being used, it gives complete privacy to your room and your house. As the name indicates, it uses two colors. They look very attractive as they combine two colors and often two different materials. Normally maintenance of this kind of scalloped curtains is fairly simple. These are the conventional scalloped curtains. They are classy, elegant and gorgeous. They are also extremely popular. You can choose from a wide range of colors and patterns. As the name indicates, these are absolutely designer variants. They combine a wide range of patterns, colors often customized to your home décor. These are primarily for smaller windows. The tail at the end on both sides lends a vintage glamour to your house. These are also extremely easy to clean and cost-effective. Cost Effective Options:We value our customers, and that is why we understand every penny counts. This is why all our solutions are extremely cost-effective and represent absolute value. Designer Products: We understand some customers donot believe in ready-made options. 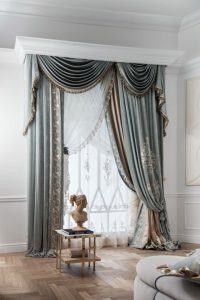 We do provides customized scalloped curtain services, the scalloped curtains that we create is a designer piece in sync with latest trends and patterns. Premium Quality: We never tolerate on products quality, all the curtains that we provide are premium quality,this is the core value for our business. Timely Delivery:We are very particular about delivering the products on time for our client. We make sure that we can process your order quickly and deliver within the deadline. Customization:This starts right from the time you approach us. Every scalloped curtain that we design is created as a unique piece addressed to your décor needs. 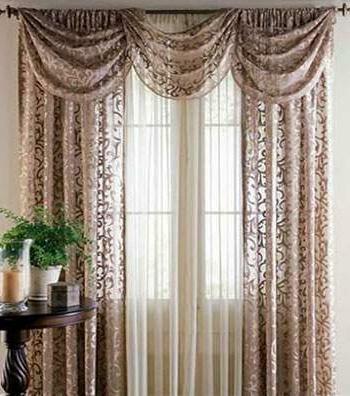 So if you are planning to get scalloped curtains, simply give us a call. 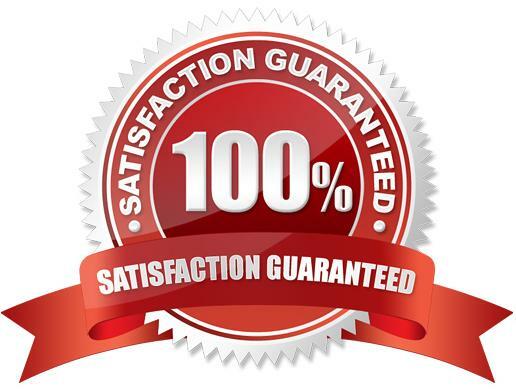 We promise to deliver the best possible products at the best rate within the deadline.